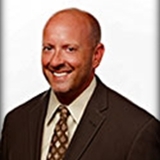 Dan Heney joined MFMA in 1995 as the Technical Director and became the Executive Director in 2008. Mr. Heney is responsible for providing the architectural and specifying communities a resource for unbiased information. He provides technical assistance on pre-installation, installation and post installation issues. Additional responsibilities and accomplishments include implementation of the MFMA Accredited Installers Program, a program that educates floor installers on proper installation techniques, knowledge and development of the MFMA Grading Rules and MFMA PUR Performance Standards. He has performed more than 215 field inspections on maple floors in the United States and Canada. As Executive Director, Mr. Heney is responsible for all financial, legal and reporting aspects of the association. With his staff, he has lead and accomplished the mission of the MFMA to be the authoritative source of technical and general information about maple flooring and related sports flooring systems. Mr. Heney attended and graduated from the National Oak Flooring Manufacturers/National Wood Flooring Association’s Installation School in 1996, earned the Certificate Program in Association Management and has an architectural background and was involved in the commercial building industry where he learned the construction process through hands on experience. Currently, Mr. Heney resides in Antioch, Illinois with his wife and two sons. The health, safety and performance of athletes is affected by the playing surface. 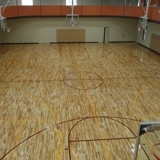 This course discusses the key selection considerations used for material specification of maple or synthetic sports floors and describes a variety of subfloor and surface configurations. 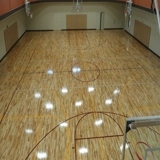 The Maple Flooring Manufacturers Association (MFMA) – manufacturers, sport floor contractors, distributors and product manufacturers who subscribe to established quality guidelines – is the authoritative source of technical and general information about maple flooring and synthetic sports flooring systems.